A decade ago, China quietly turned the small city of Yunfu into an alternative energy juggernaut. What was once barren hills is now an industrial park that churns out hundreds of electric cars and buses each year. You and I both know why the Chinese are concerned about air pollution. 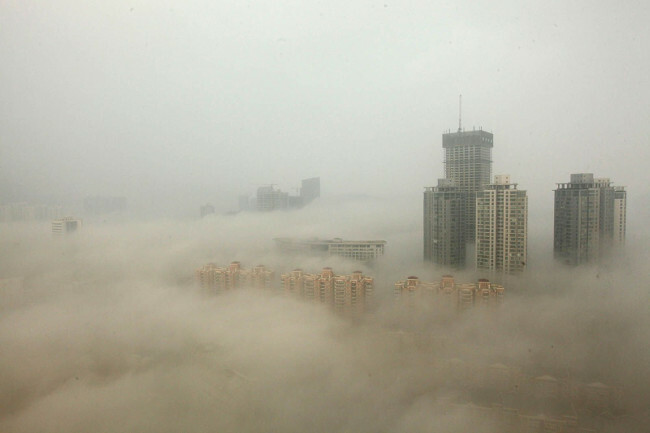 Back in October 2013, China issued its first red alert for smog, the most serious level on its air quality index. And sometimes a picture is worth a thousand words. Can you really blame them for investing almost $60 billion in subsidizing alternative energy companies in this city? And here’s the interesting part: The vehicles made in Yunfu are MORE efficient and CHEAPER than Tesla’s lithium-ion-powered cars. Until very recently, Tesla was the premiere manufacturer of electric cars in the world. Its lithium-ion batteries were the most efficient and reliable energy source for any electric car so far imagined. But you may have noticed my use of past tense. Is Tesla’s reign at an end before it really even got going? China didn’t discover some new crazy fuel source or how to make better lithium-ion batteries. 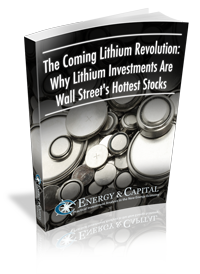 It simply invested in an emerging fuel source with way more potential. And thanks to a recent breakthrough, that fuel source is primed to become the dominant fuel source on the planet. I’m talking about fuel cell technology — energy derived from the most abundant element on the planet! Until recently, hydrogen power was somewhat cumbersome to produce. But after decades of experimentation, the U.S. Army made a discovery that opened the floodgates. The new method produces hydrogen energy at almost 100% efficiency in just three minutes, up from 50% efficiency in several hours. Not only is it twice as efficient, but it also takes a fraction of the time, dramatically lowering production costs. This means hydrogen-powered cars will finally see mass commercialization. And China is well ahead of the curve — 10 years ahead, to be exact. It saw the potential and poured almost $60 billion into developing the cars and buses that can capitalize on this breakthrough. Right now, there’s one company worth $175 billion that is focusing more and more on developing fuel cell technology. Is the future of the trucking industry paved in fuel cells? The auto giant is teaming up with Kenworth to test out a new run of trucks powered by hydrogen fuel cells. The Kenworth T680 will be modified with Toyota’s powertrain, which is powered by fuel cell technology. The plan is to test them out on the streets of California, running routes around Los Angeles. According to them, it makes more sense than using batteries. From faster filling times to longer ranges, the Class 8 heavy trucks could put the Tesla Semi on Musk’s shelf. And it just so happens that Weichai Power, China’s largest state-owned diesel engine maker, invested $184 million in a tiny U.S. fuel cell manufacturer since the breakthrough was made. Look, there’s only one reason Weichai shelled out that much for a stake in this $4 tech stock: This company's hydrogen fuel cell technology is a real alternative to EVs. And now that the wheels are in motion, Tesla’s days are numbered. It can’t hope to compete with the efficiency or the cost.